It began with a phone call to musician Andy Gill in London during 1995. Four years later, almost two years after its completion, it has ended as a postumous musical triumph for Australia’s most famous rock star. It stands not only as tribute to Michael Hutchence and his musical influences, but also a tribute to the co-writers and co-producers, Andy Gill and Danny Saber. And the Hutchence album happens to be a subtle homage – intended or not – to what was surely the singer’s most constant influence during his twenty year career, INXS, for like it or not, this album is textured with hints of INXS. 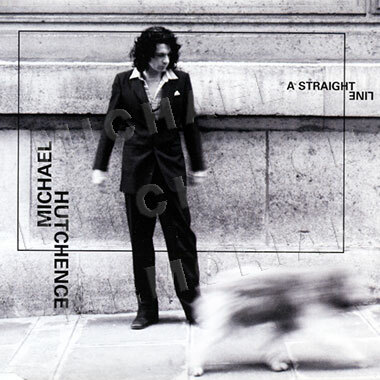 Above all though, the Michael Hutchence solo album, leaves no doubts as to his unique singing style and his intimate lyrics. It demonstrates he was seriously on the verge of what could have been a successful solo recording career. Hutchence created his finest musical hour from the beginning, and almost to the end, with legendary London musician, Andy Gill, former member of the ground breaking eighties group Gang Of Four. Gill co-wrote with Hutchence all but four songs on the 13 song album, co-producing ten with the singer, who co-wrote a further three songs with Danny Saber, and one with Tim Simenon. Andy Gill was the musical main man though, and in many ways this is just as much his and Danny Saber’s album as it was that of Hutchence. “I’d never met him before”, Andy Gill told me from his three story London home recording studio, recalling his first contact with the popular singer. “He’d always been a Gang Of Four fan and I’d seen him on television and always thought, ‘what a great singer, what a natural performer. He’s got a buzz about him, he radiates just the right thing'”. “One day he just phoned up and said ‘this is Michael Hutchence here, and I was wondering if you wanted to come and play some guitar?’. “He was working on some solo stuff and had just worked with Tim Simenon from Bomb The Bass. “He was slightly shy and a little insecure in some ways. “I think crazy people can often be a bit like that and often the creative process is a way of proving something”, Gill said. Hutchence was trying to prove a lot of things to a lot of people during the entire duration of this recording. He was embroiled in a love affair, a divorce, a custody battle, a career predicament, and what appears to have been an intense battle with his own personal demons. Yet he was determined to complete his solo album. Following Hutchence’s phone call to Gill, the pair went to the singer’s home in the south of France and began preparation for the recording. “I took some computers down to his home in France and he had a mixing desk and we set up a little studio. I’d go down for a while and come back to London. We did this for months and months. It was a great time. We had a laugh, but it was pretty intense, we just got stuck into it”, Gill recalled. “That was in 1995, and we did that for about six months. Completing the album was a long process, but the meat and potatoes of the whole thing was put together at Michael’s home in the South of France. “When we had about ten songs pretty well worked up, we started to think about where we were going to record it and who else we were going to get in on the record, somebody else to co-produce it. “We both really loved the Black Grape record – we used to listen to that a lot. So Danny Saber, the Black Grape producer was our natural choice. He came along and joined us. “So the three of us carried on the process at my studio which was at Tower Bridge. We did all the pre-production there. Danny’s a good bass player, a good programmer and a good guitar player. “We refined the songs a little further, took them apart a little bit. Just started producing them, then we went into Real World Studio, and started recording it there and carried on at Nomis Studios. “Michael was in the frame of mind to make an artistically ambitious recording”, Gill claims. There have been many reports that the entire album is about Paula Yates and Bob Geldof, but that’s not the case according to Gill. Although Hutchence was depressed about the situation with Yates and Geldof, it seemed to inspire the recording rather than retard its progress. “Some of the songs are about Bob Geldof and Paula Yates but the majority are not”, Andy Gill said. “The ongoing battle that was going on between Bob Geldof and Paula distressed him greatly. I think he felt a bit trapped. But I also think those circumstances influenced the recording. “Sometimes he was in a pretty dark mood, but he never gave any indication that he’d end up doing what he did. Last time I worked with him was a few weeks before he died. He also did some more stuff with Danny Saber in Los Angeles just prior to leaving for Australia. “I think he did commit suicide, I think he was in a bad spiral of depression that was very, very chemically enhanced – I don’t think the reasons for his depression were enough to tip him over the edge but I think the drink/drug aspect of it was the major player here”. Andy Gill and Michael Hutchence produced two songs on their own and another eight alongside Danny Saber, a total of ten songs that were completed and basically mixed prior to Hutchence leaving London for New York – for the last time as it turned out. Up until just two days before he died in 1997, Hutchence recorded three more songs in Los Angeles with Danny Saber. Since then extensive legal problems have marred release of the album – some instigated by Michael’s mother and sister, Patricia Glassop and Tina Hutchence, in relation to continuing legal disputes which essentially question the content and status of the Hutchence estate. The album is released in Australia on October 11 and various dates around the rest of the world. Shipping 70,000 copies of the Michael Hutchence album in Australia, taking it to platinum status, would seem to indicate there’s a lot of people warming up their CD players in anticipation, regardless of the album’s quality. But fortunately, this album is an absolute, steaming killer. Music heavyweights Andy Gill and Danny Saber have taken Hutchence’s musical seed ideas, transported and guided them, presumably, to where Hutchence wanted to go. And that was far away from what I believe were years of musical frustration. That is not to take anything away from INXS or their music, quite the contrary, but this album does place Hutchence firmly on his own two feet, away from the democratic guilt edged constraints of being in a band and all its accompanied image expectations. The album is hard edged, with Hutchence going to a musical, vocal and lyrical level for which he seems destined. It’s a powerfully emotive album, straight from the absolute funky heart and soul of Michael Hutchence. His voice slides, bends, yelps, croons, taunts, snarls and, yes, seduces. Opening with the crunching, Let Me Show You, featuring the Clash’s Joe Strummer on backing vocals, each of the album’s 13 tracks is a winner, no immediate fillers. Get On The Inside is a trippy song featuring a powerful three piece brass section and some clever programming from both Saber and Gill. A scorching full funk rocker, A Straight Line has just been released as the first of what I think will be many singles. This track shows Hutchence near his very best, stretching his voice from a guttural wail and sliding it under a screaming guitar with effective horns taking up the slack. Sure to be released as another single further down the track, Don’t Save Me From Myself features a groove riff, solid chorus and lyrics like “Get me out of here, holding up my crime, ready for what’s sent me”. Bono added haunting, soaring vocals to Slide Away after the death of Hutchence, voice and lyrics of both singers sounding like they shared the same vocal booth. INXS fans will recognise the vocal riff as Hutchence sings “I just wanna slide away, and come alive again”, with Bono later refraining “You burn across the sky, and I will find you wings to fly, and I will catch you”. This is a standout track and for me, one of the album’s most heart rendering, and probably the best potential for a world wide hit. To be absolutely fair though, this album owes a great deal to Danny Saber and Andy Gill, for without them, I doubt Michael Hutchence would have reached his musical vision. The self titled Michael Hutchence album will hopefully shift the focus from his private life to his music. The words of his New York lawyer, Bill Leibowitz express it best: “At last people will finally remember what Michael became famous for in the first place”. The first single, A Straight Line, received its world premiere on Australian radio on Monday September 13, 1999 gaining immediate massive radio airplay, and becoming the #1 most added record in Australia w/c September 20. The single was released commercially on September 27, and was backed by another new track Standing On The Rooftop (not featured on the album), and a cover of the Iggy Pop track The Passenger, originally recorded in 1995 with Tim Simenon for the Batman Forever soundtrack. A video for A Straight Line has been completed by US director SA Baron (Whitney Houston, Public Enemy) and premiered on Australian television on September 25. Michael Hutchence was released in Australia, New Zealand and Japan on October 11, followed by releases in the UK, Europe and Asia on October 18, and North America February 20, 2000. A limited edition version of the album, including an embossed cover and individually numbered cds, was released for initial quantities of the album in Australia only.